The average out of pocket costs for the delivery and hospital stay is around $3,400 and that is if there are no complications. If these numbers are making you a bit nervous, you are in the right place. My husband and I are pretty good with money but even we were a bit worried and wanted to do everything possible to financially prepare for a new baby of our own. I wanted to share some very simple things that we started doing to help us prepare for a baby on a budget so that you won’t feel so overwhelmed about the upcoming expenses….you have other things to be worrying about, right? Taking the above costs into consideration, you now know how much you should be saving over the next 9 months. I knew that I wanted to take at least 3 months of maternity leave so we started making sure that we saved at least three months of expenses to help cover that cost. Even with insurance, you will have out of pocket costs to cover once the baby arrives. Contact your insurance company to see exactly what and how much they will cover so that you can get an educated estimate. Also, start looking for a pediatrician that will be in your network. Make sure to ask your insurance if they cover the cost of a breast pump. This could save you a couple hundred bucks! Call the hospital where you will be planning on having the baby and ask if they itemize the bill or if everything is included in the cost of your stay. When I had my daughter, everything was included but when my friend who lived in another state had her baby, everything was itemized. If your hospital does not include everything in the cost of your stay make sure to bring your own diapers, wipes, blankets, pacifiers, hats, mittens, etc. This way you won’t have to pay for those items that you already have at home. My friend’s hospital charged her $10 for a pacifier….$10! 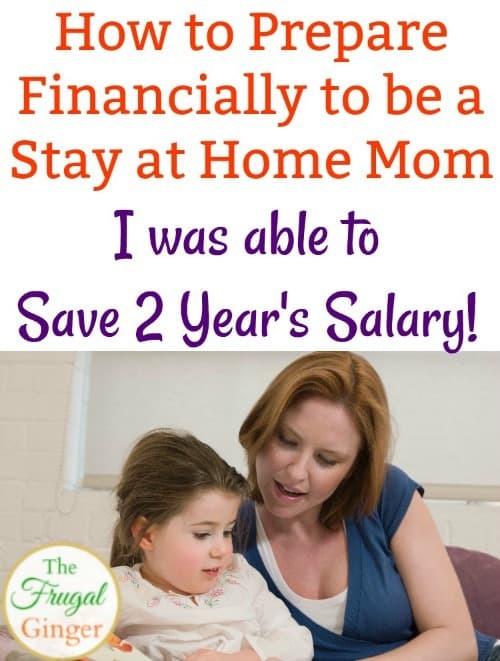 I have also written a full post about how I was able to save up 2 year’s salary to be a stay at home mom. 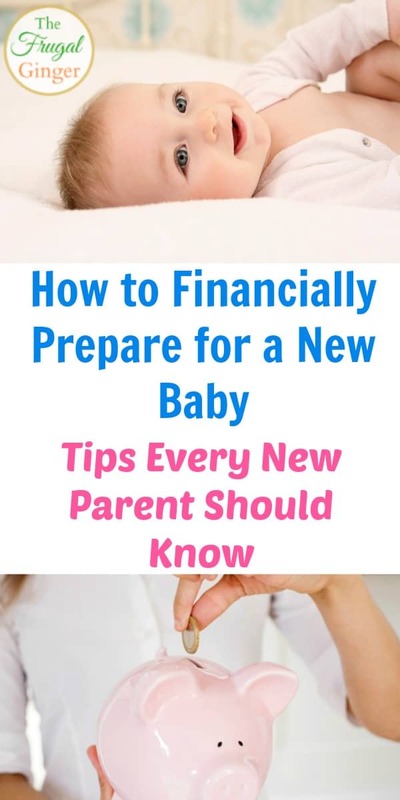 It goes into more detail about how you can prepare for a baby on a budget or how you can save money so that you can be a stay at home mom if that is something that you have your heart set on. It is possible to be able to afford a baby even on a low income or small budget. You have to get a little creative and make a few sacrifices but it can be done. Learn to Coupon: I really put my coupon knowledge to the test when I found out I was pregnant. I stocked up on diapers, wipes, and other baby products when I could get them at the lowest prices possible. This way I had plenty of baby supplies on hand and didn’t have to pay full price if we were to run out. I know that people can be overwhelmed by learning to coupon but it is so worth the time and it has saved me so much money over the years. You don’t have to go extreme! Don’t go and buy 30 newspapers and start stockpiling for an apocalypse. You can ask your friends, family, and neighbors to save their coupons for you if they will not be using them. This is what I did and they were glad to do it. You can check out my Couponing 101 section of this site and also see my top 5 money saving apps to help get you started saving some big bucks on baby items. Baby Freebies: Another way to prepare for a baby on a budget, is to sign up for as many baby freebies as you can. You can even ask your OB/GYN if they have any samples or free offers from formula companies. They usually have plenty in the office. Sign up for Enfamil Family Beginnings and Similac Strong Moms. It is free and you can get $400 worth of items like coupons, samples, gifts, and more. Sign up even if you plan on breast feeding because you never know when you might need formula. I planned on breast feeding but due to health problems I wasn’t able to do it for too long. The formula coupons and samples were a big help when we had to switch to formula. We had the samples on hand so we didn’t have to run out to the store in the middle of the night when I wasn’t producing enough milk to feed my baby. It was just one of the ways I was able to save on baby formula. Create Several Baby Registries: Don’t just create one baby registry, create several. 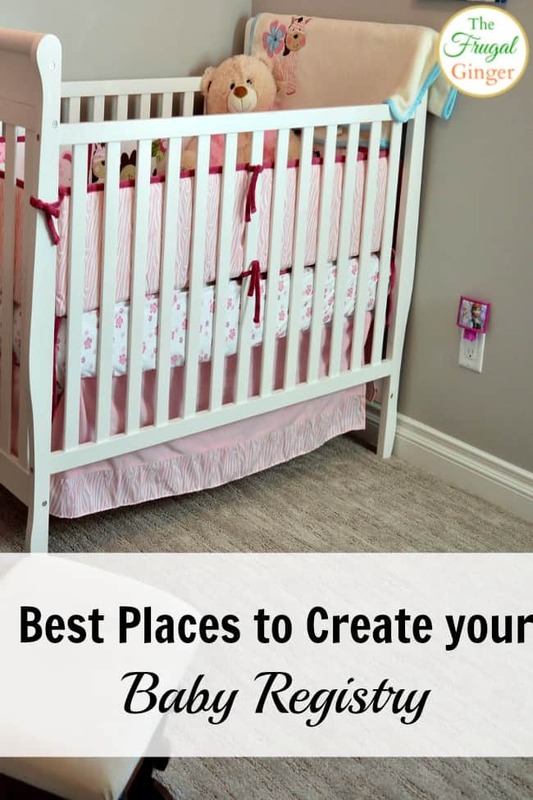 These are the best places to create a baby registry because they offer some great sign up gifts and discounts. Most will offer you a welcome bag or box filled with coupons, bottles, pacifiers, and other gifts. It’s a great way to try new brands and products to see the ones that you like best before you go out and spend money on them. Shop Second Hand: When it comes to certain baby items, you want them to be brand new for safety reasons. A car seat and crib should not be purchased second hand because safety standards change yearly so you want the newest model. Other things you can certainly purchase second hand or even borrow from friends and family to help you afford a new baby. Items like swings, bouncers, pack n’ play, toys, clothes, changing tables, bassinets, strollers, books, etc can all be purchased used to save you some big bucks. Most babies grow out of things so quickly that they barely get used so you can easily find some like new items on craigslist, at yard sales, or thrift stores. I was able to find a lot of brand name items at second hand stores that still had the original tags on them and they were over half off the original price! The above tips should help you save money so that you can afford a new baby but when it comes to being financially prepared for a new baby, there are a few other things you should do before they arrive. Are you Still Going to Work? If one parent is going to stay at home with the baby, you need to start saving to help cover the expenses or look into jobs that you can do from home. I think these are the best online jobs for stay at home moms that you can start looking into. You may also want to start looking into moving your 401K over to a Roth IRA if you will be quitting your job. Start talking with your HR rep about insurance changes you will be making to add your new baby or spouse to your plan. Tax Issues: Talk with a CPA or other tax professional to see what the best options are for you and your family when it comes to filing your taxes. Learn what deductions you should plan on taking and also start looking into 529 plans for your baby’s future education. It is never too early to start saving! I hope that by starting early and doing your research, you are much more confident in knowing how to financially prepare for a new baby. It is expensive to have a baby but so worth it! You can afford to have a baby, even on a budget, you just have to find the things that work for you. Let me know any other tips you have used to save money for a new baby in your family.